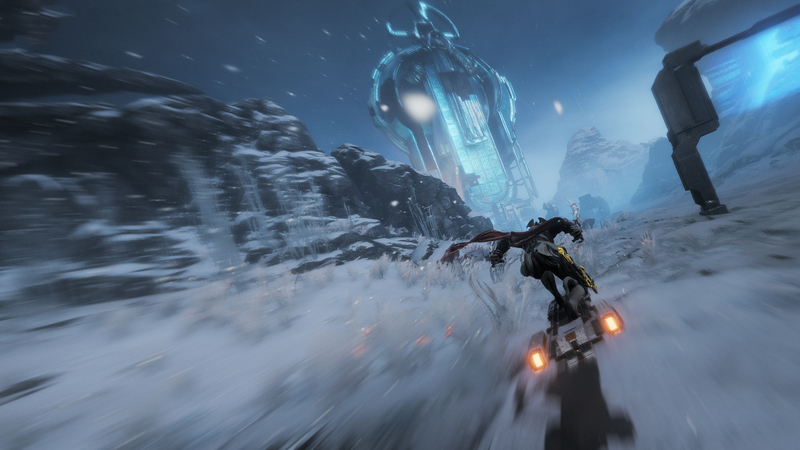 Warframe‘s new Fortuna expansion is finally here, providing the perfect excuse for players old and new to dust off their Tenno armour and head out into the never-before-seen frozen wastes of Venus’ Orb Vallis region. 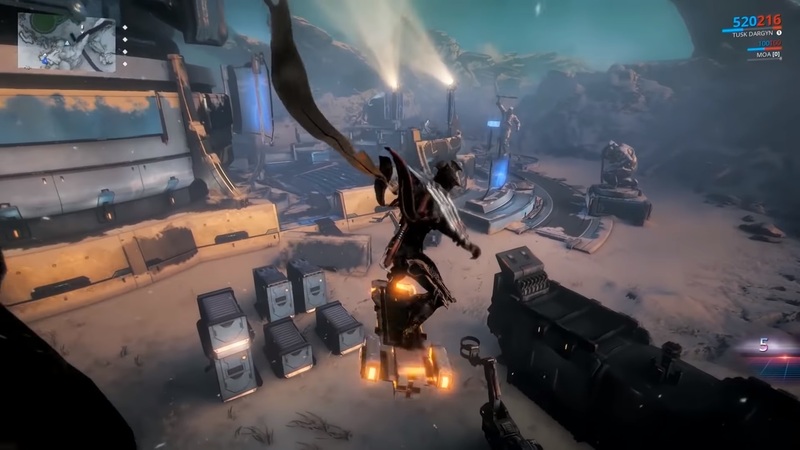 It’s the second open world map that’s been added to the game since last year’s Plains of Eidolon update, but given the number of performance issues people encountered the first time they ventured into out onto those titular plains, there’s been much consternation over whether Fortuna will also be too much for some PCs to handle. Fortunately (sorry), I’m here to help, as I’ve been chucking a bunch of today’s best graphics cards at it, as well as a handful of older ones I’ve got knocking around, to see how it fares. Below, you’ll find everything you need to know on how to get the best settings for Warframe’s Fortuna update, as well as what you need to do in order to squeeze every last drop of performance out of your trusty graphics card. For the most part, Warframe is an absolute doozy to get running on PC. Indeed, both graphics cards listed by Digital Extremes in their minimum spec requirements for the game (see below) are almost ten years old at time of writing, meaning even elderly PCs and laptops should be able to achieve a stable framerate without you having to spend lots of money on expensive new hardware. Now, I’ve only got a limited selection of ‘mature’ graphics cards at my disposal for this particular performance test – the oldest I have is just five years old as opposed to ten – so the advice you’ll find here will naturally skew towards the more recent crop of cards you can buy right now. However, while most of today’s graphics cards can run Warframe just fine, there are still plenty of occasions when framerates can begin to tank – and that’s in a PC with an Intel Core i5-8600K, 16GB of RAM and all the latest Windows 10 and DirectX updates installed, too. Case in point: the surface of Venus in Warframe’s new Fortuna expansion. Here, framerates were practically cut in half compared to the speeds I was getting on regular missions, so hopefully there should still be plenty of useful info here regardless of how old your graphics card is. As always, the main aim of these graphics performance tests is to achieve a stable 60fps using the highest possible graphics settings, which in Warframe’s case is its High preset. This time, however, I’m making the positively monstrous assumption that most of you probably aren’t playing Warframe at 4K resolutions, so I’ve limited my tests to just 1920×1080 and 2560×1440 (if you would like 4K results, do say so in the comments and I’ll add them in). Since Warframe doesn’t have the advantage of a built-in benchmarking tool, I tested each card by completing a standard mission, where I noted the minimum and maximum framerate I saw in each playthrough, running around Fortuna’s hub world for a bit (also jotting down the minimum and maximum framerates on offer), and then playing through Fortuna’s very first Vox Solaris mission out on the massive, open-world expanse of Vallis (or at least as far as I could get through it because I’m rubbish at Warframe, again recording those min and max frames). This should hopefully give you a fairly decent idea of what kind of average speed to expect in each of the game’s three main play states, as well as how low any potential speed dips might go when things get a bit heated. As mentioned above, most of the graphics cards on test here had absolutely no problem whatsoever running Warframe on its High graphics preset, regardless of whether I was playing at 1920×1080 or 2560×1440. However, there were still a couple of older cards that were clearly struggling to keep pace once I was out in the wilds of Vallis, so here are a couple of things to bear in mind if you find your performance is starting to lag. One of the biggest things that can help improve performance in Warframe is to enable the game’s Dynamic Resolution feature. This is disabled by default, but switching it on will automatically downscale the resolution on the fly to help maintain a steady framerate. It’s a common feature employed by a lot of demanding games these days, and can be helpful when you hit a particularly rough patch but don’t want to spend ages tinkering around with the settings manually – especially when Warframe doesn’t actually pause the action when you open up the settings menu. I’d opt for Auto if you want the least amount of fuss, but you can also set your own resolution scale by selecting the User option (although how much benefit you get with this over simply choosing a lower resolution is debatable). For reference, 100% is your monitor’s native resolution (or whatever resolution you currently have selected in the main display settings), and the lowest User setting on offer, 50%, will be half of whatever that resolution that is. I also found that switching off Ambient Occlusion, Trilinear Filtering and Runtime Tessellation also helped to stabilize performance in Warframe’s regular missions, as these are some of the more GPU-heavy settings in the display options. Over on the surface of Venus, however, just turning off these three wasn’t quite enough to produce a noticeable improvement in the game’s overall performance. Instead, I also had to turn off Local Reflections and Dynamic Lighting before I saw a decent jump in speed. In most cases, though, I was able to get each graphics card running without much tinkering at all. To see how they all got on, just click the page numbers below or hop back up the page to the card of your choice. Also, if you’re in need of proper, Fortuna gameplay assistance, be sure to check out Dave’s extensive collection of Warframe guides, too. Tagged with Digital Extremes, feature, graphics card, graphics cards, Hardware, how much graphics does it have, Warframe.